Home > Fiction > What is Microfiction? Many writers of both fiction and non-fiction will have heard of microfiction but most of these will be unable to explain exactly what it is. Traditionally short stories are over 1,000 words long and are found in many magazines and newspapers. Microfiction tends to tell a story in much less than this word count, sometimes even containing no more than 50 words - which is quite a feat in which to tell a whole story. Originally this genre was called flash fiction but as word counts became shorter and guidelines grew tighter, the term microfiction was created and has found it’s place quite comfortably in the modern circles of literature. Like most works of fiction, microfiction can really be anything the author wants it to be and can be written in any way the author feels comfortable with.However, in order for readers to enjoy and understand it, it is best written with the same aim as any short story and that is to have a subject and storyline. Most authors of microfiction learn the art of writing a story that is very brief but includes many of the components found in traditional tales. 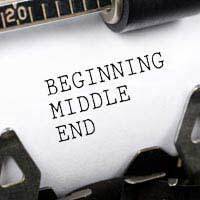 They often include a beginning, middle and end though these are usually all very brief.A common way of writing microfiction is to have a plan of how the story is going to unfold and conclude. This is then written and a serious amount of editing is carried out in order to only leave in the words that actually work for the story and are not left in unnecessarily. Authors of microfiction are very strict with their writing and ensure that every single word has a purpose and that where possible only one word is used to explain, explore or describe something, instead of perhaps two, three or even more. Is It Difficult To Write? There are plenty of writers and budding authors around who will quite happily state that they are unable to write this kind of fiction, whilst others find it comes naturally. On the whole however it often comes with practice and anyone wanting to try and write microfiction will find they develop the craft over time, with their writing becoming tighter and tighter as they progress. Anyone can write microfiction but not all will be able to accomplish their goals within the story. Many authors find that they have a plethora of ideas in their minds that they will find difficult to write down entirely and use microfiction as a way of telling these ideas. The stories often contain humorous connotations or are fairly profound and tell of a moral or consequence whilst others may be sarcastic, based on horror or simply tell of the oddities of human nature or the animal world. Microfiction is a term used to describe the written works that are extremely short in word length. The works usually include basic elements of creative writing that have been strictly edited and tailored to fit the word length criteria. @Xeptional Angel Emen - you can write what ever story you like and if you want to end on a cliffhanger, then you have complete creative licence to do this. Good luck with it - it sounds great. Kate. can I write a micro story that the ending isn`t actually the end, like keep my audience in suspense or I must complete the story to give it full meaning..?